BHOPAL: With Rajya Sabha polls over, Madhya Pradesh government is now all set to hold a meeting to finalise the details of its contribution in BRICS summit, to be held in Khajuraho from August 31. Two day BRICS convention of tourism would be held in Khajuraho. State culture and tourism department would prepare a special programme for the event, said top sources in the government. High level meeting would be held later this month to decide upon the details of the programme, said government official. “Our objective would be to design a programme that showcases India’s diverse culture along with promotion of state’s tourist spots,” said the official. “We won’t miss this golden opportunity to promote state’s tourism sights,” said an official of the tourism department, wishing anonymity. 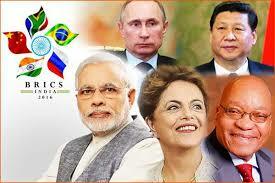 Heads of BRICS – Brazil, Russia, China and South Africa are expected in the convention besides Indian PM Narendra Modi hosting the event. Madhya Pradesh attracted around 8 crore domestic and international tourists in the year 2015 and is expected to grow by 20% this year. Tourism department of state has made ambitious plan of investing more than Rs 1300 crore to give a boost to its infrastructure in state.